While there are different methods for managing your operations environment, utilizing infrastructure-as-code can be one of the most beneficial. In this article, we’ll be going over the fundamentals that make it so useful, as well as where employing an expert can come in handy. 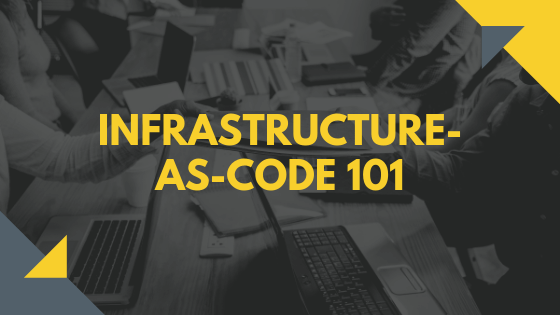 Infrastructure-as-code, or IaC, uses an approach similar to the management of applications or code releases for the governance of the operations environment. Instead of applying changes in a manual fashion, the operations infrastructure is controlled through the same rules and strictures used in code development. What this allows for is the main best practices of DevOps, such as version control, virtualized tests and continuous monitoring, to be applied to the underlying code that handles the development and management of the infrastructure. This means that the infrastructure is controlled just as any other code would be. With IaC, companies are able to enjoy an improved quality and a significantly more consistent infrastructure build, in addition to enhanced management capabilities. It couples automated testing, validation and deployment while maximizing efficiency and minimizing human error. Users also can update or deploy an infrastructure made up of dozens of servers instantly, without any additional installation requirements for their servers. All that’s needed is to launch the process specified in the code and the machines will do the work. There is also the option of reverting to the previous stable version of the server configuration, as a means of making pre-production testing simpler. Another benefit to IaC is that through the set-up being administered via code, each machine and configuration can be replaced without the repetitiveness of manually setting up each one. With the ease of IaC deployments and reconfigurations to the server environment comes the potential for users to cause quite a bit of damage if they aren’t sure of what they’re doing. This is where having the guidance and help of an expert such as VEXXHOST can truly make a difference. At VEXXHOST, we know that the ability to innovate with confidence is key for our clients and we’re proud to have helped mitigate some of their crucial pain points through our extensive experience as an OpenStack managed service provider. With all of our technology being powered by OpenStack, VEXXHOST is able to help our clients capitalize on the benefits of infrastructure-as-code, such as further facilitating innovation and improving cost savings. VEXXHOST also takes pride in ensuring that each client’s infrastructure is optimized to their specific use cases through our customizable and adaptable solutions. Contact us for more information!